During the first quarter of 2019 container volumes at Ports of Stockholm increased substantially. Volumes were 25 percent greater than the same period the previous year. “The Stockholm region is growing, a fact that is clearly reflected by our import volumes. 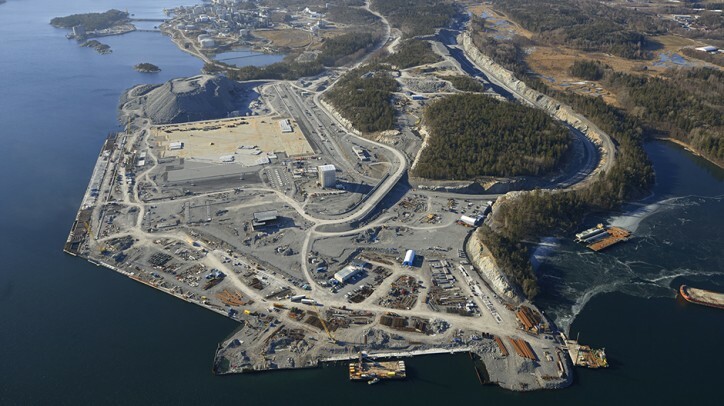 It feels reassuring that we will open the Stockholm Norvik Port next year. With our new freight port we will have good facilities to be able to cope with the rapid rise in volumes and to develop services within the container segment, together with Hutchison Ports,” says Nicklas Ebersson, Marketing Manager, Cargo at Ports of Stockholm. The Stockholm Norvik Port will open in May 2020 and will replace the current CTF container terminal at Frihamnen in Stockholm. The new container terminal will be run by Hutchison Ports, one of the world’s leading container terminal operators. During the autumn of 2020 the RoRo (rolling goods) section of the Stockholm Norvik Port will also open. This will be run by Ports of Stockholm themselves.